Mixing, whisking and beating just got easier. Instead of being confused by lots of buttons, features and settings, the Illumina Hand Mixer from Russell Hobbs brings simplicity with performance. 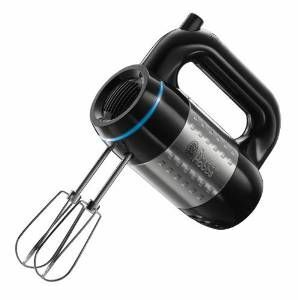 Using a stylish light ring that changes colour at the touch of a button, the Illumina Hand Mixer helps you to be total control when whipping any creation.